The Council on Biblical Manhood and Womanhood will host a national conference on the theme, “The Beauty of Complementarity,” in Louisville, Kentucky, April 11-12. There will also be a women’s conference on the morning of April 12. You can find more information about the 2016 conference here, and registration here. The conference will serve as a pre-conference for Together for the Gospel, which takes place April 12-14 in Louisville. The CBMW conference will feature short talks from a litany of complementarian leaders, including John Piper, Kevin DeYoung, R. Albert Mohler Jr., Owen Strachan, Trillia Newbell, Alistair Begg, and others. The aim of the conference is to encourage attendees with the goodness and beauty of God’s design for human sexuality, and to equip them to contend for that beauty in their lives and ministries. 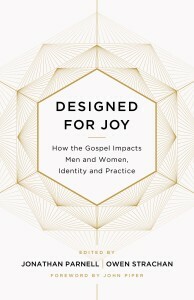 On Tuesday morning, April 12,, there will be a women’s conference, with talks from GraceAnna Castleberry, Mary Mohler, Kristie Anyabwile, Mary Kassian, Courtney Reissig, and a discussion panel, where Candi Finch, Jackie-Hill Perry, and Amanda Peacock will join Kassian and Castleberry. The titles for the different talks are below. Keep up with CBMW news and announcements at cbmw.org and on Twitter: @cbmworg.